Profession before joining politics After graduation, Rahul Gandhi worked at the Monitor Group, a management consulting firm, in London. 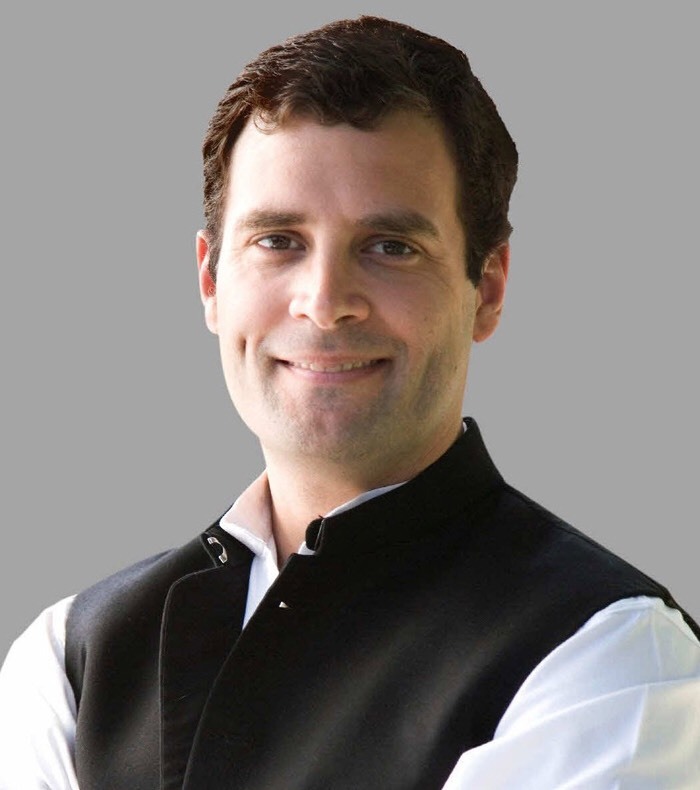 In 2002 he was one of the directors of Mumbai-based technology outsourcing firm Backops Services Private Ltd.
Rahul Gandhi is the fourth generation Indian politician of the Nehru-Gandhi family. He is at present the President and of the Indian National Congress. Rahul Gandhi also holds positions of the Chairperson of the National Students' Union of India and the Indian Youth Congress. Earlier, he was the General Secretary of the All India Congress Committee. He is a Member of Parliament representing the constituency of Amethi in Lok Sabha.At present he is in second rank as a Congress Working Committee member. He belongs to the family of stalwarts who held important positions in the history of Indian politics. His great grandfather, Pandit Jawaharlal Nehru, was the first Prime Minister of independent India. His grandmother, Indira Gandhi, the first and only woman Prime Minister of India, was a very influential and powerful lady. His father, Rajiv Gandhi, was the President of Congress and also served as Prime Minister. His mother, Sonia Gandhi, is at present the President of the Indian National Congress. Rahul Gandhi is considered to be the new and young face of the party. Rahul Gandhi was born on 19 June, 1970 in Delhi. He is the elder of the two children of the former Prime Minister Rajiv Gandhi. His mother, Sonia Gandhi, originally hails from Italy and now holds an Indian citizenship. His younger sister, Priyanka Vadra, is married to Robert Vadra who is a businessman. Rahul Gandhi’s initial schooling was in St. Columba’s School in Delhi. Thereafter, from 1981 to 1983, he studied in The Doon School in Dehradun, Uttarakhand. A series of incidents followed which impacted Rahul and his family directly. The assassination of Indira Gandhi on 31 October, 1984 led Rajiv Gandhi to enter politics. He subsequently became the Prime Minister of India. The family, including the children, faced security threats from extremists of the Sikh community because of which Rahul and his sister Priyanka did the rest of their schooling from home. 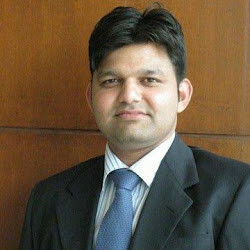 In 1989, Rahul joined St. Stephen’s College in Delhi but after completing first year, he moved to the Harvard University. Unfortunately in 1991, Rajiv Gandhi was assassinated by the extremist outfit LTTE. Again, due to security reasons, Rahul Gandhi had to shift to Rollins College, Florida, where he completed his Bachelors in 1994. During this time, he had to assume the pseudonym Raul Vinci. Only security agencies and university officials knew of his real identity. In 1995, he completed his M.Phil. in Development Studies from the Trinity College of Cambridge. Rahul Gandhi informed the press in 2004 that he has a Spanish girlfriend Veronique Cartelli, who is an architect and lives in Venezuela. After his graduation, Rahul Gandhi worked for Monitor Group in London for three years, which is management guru Michael Porter’s consulting firm. After returning to India in late 2002, Rahul Gandhi became the director of a technology outsourcing firm, Backops Services Private Ltd. based in Mumbai. Rahul Gandhi declared his entry in Indian politics in March 2004. He announced that he would contest in the May 2004 Lok Sabha elections from the constituency of Amethi, Uttar Pradesh, from where his father had also contested earlier. At that time, his mother Sonia Gandhi was holding the seat. She moved to the neighbouring constituency of Rae Bareilly. During this time the situation of the Congress party was not so good and it was holding only ten of the 80 Lok Sabha seats in Uttar Pradesh. This announcement generated mixed reactions among different political associates. The political commentators regarded Priyanka as more charismatic and even started comparing her to her grandmother Indira Gandhi. They were of the opinion that there is greater likelihood that Priyanka would be more successful in the endeavour, while others thought that this move would kindle the Congress party’s fortune, that the presence of one of the young members of India’s most famous political family would usher hope among the young generation. Rahul Gandhi in his first foreign media interview conveyed that he condemns “divisive” politics in India. He said that he would work as a uniting force and try to reduce tensions cropping out of religion and caste issues. Rahul Gandhi won the elections and retained the family stronghold. Despite tough competition from Aam Aadmi Party's Kumar Vishwas and Bharatiya Janata Party's Smriti Irani, Congress Vice President and fifth-generation politician Rahul Gandhi won his seat at Amethi in Uttar Pradesh by a margin of 1,07,903 votes in the 2014 Lok Sabha elections. The Congress party, as a whole, suffered its worst ever defeat in that election. This win came in spite of attacks from the BJP's prime-ministerial candidate Narendra Modi that Rahul lacked leadership qualities and had "only entertainment value" besides the media's predictions that he stood no chance in the election. Rahul Gandhi's win in Amethi put him in a strong position in the political scene of India. His win, however, came as a surprise to his detractors who had pointed out the lack of development in Amethi since Rajiv Gandhi's time. The media had reported that Rahul Gandhi had not done anything for the constituency to better the health, education, roads and sanitary condition of the place. It may be said that the people have shown faith in the Nehru-Gandhi family who have been representing Amethi for over forty years. Rahul Gandhi himself has won from the constituency twice in his ten-year political career – first in 2004 parliamentary election and second in 2009 Uttar Pradesh legislative election. In 2004, he was elected to the Lok Sabha from the constituency of Amethi. Rahul Gandhi started accompanying his mother, Sonia Gandhi, to different public events and Congress party meetings. In 2006, Rahul Gandhi and Priyanka Vadra managed the election campaigning for their mother Sonia Gandhi in Rae Bareli, which she won. Rahul Gandhi was a prominent party figure who campaigned in the 2007 Uttar Pradesh Assembly elections. In September 2007, he became the General Secretary of the Indian Youth Congress and also of National Students' Union of India. In his effort to reform youth politics in November 2008, he conducted interviews at his residence in New Delhi to select at least 40 people to form the think-tank of the Indian Youth Congress (IYC). The Indian Youth Congress (IYC) and National Students' Union of India (NSUI), under his guidance, have seen a substantial increase in members from 2,00,000 to 25,00,000. Rahul Gandhi retained his seat in the constituency of Amethi in 2009 Lok Sabha elections. He was acknowledged as a contributor in the revival of Congress party in Uttar Pradesh where the party won 20 Lok Sabha seats out of 80. In six weeks he had travelled across the nation and spoken at 125 rallies. Rahul Gandhi was arrested on 11 May 2011 in Bhatta Parsaul village by the Uttar Pradesh police for supporting flustered farmers who were demanding more compensation against acquisition of their land ﻿for a highway project. During the 2012 Assembly elections, he campaigned in Uttar Pradesh for almost two months, holding 200 rallies. Congress won 28 seats in the state, which is six seats more compared with the 2007 elections. However, the party acquired fourth position in the state. Rahul Gandhi and his sister Priyanka Vadra travelled to Pakistan on a goodwill visit to watch the first cricket series between India and Pakistan in 14 years. On 19 January 2013, Rahul Gandhi was appointed the Congress Vice President in a party conclave of the All India Congress Committee in Jaipur. Officially, he is ranked second in the party after his mother, Sonia Gandhi, who is the party president. To everyone’s surprise, on 27 September 2013, Rahul Gandhi openly criticized Prime Minister Manmohan Singh and his government for coming out with an ordinance to revoke the effect of the order passed by the Supreme Court of India which states that convicted criminals could not contest elections. Rahul Gandhi won from Amethi constituency in the 2014 Lok Sabha elections. However, the Congress party suffered its biggest defeat that year. In 2016, the RSS filed a defamation suit against Rahul Gandhi for claiming that the former killed Mahatma Gandhi. As on 2 September, 2016, Rahul has said he stands by his remark and will fight his case in court. Jatin Gandhi and Veenu Sandhu in 'Rahul: The First Authoritative Biography' gives insight into the Nehru-Gandhi family and explore the interesting relationship between modernity and dynasty. The authors take the readers into the life of Rahul Gandhi – his public moves, his trips across India to reach out to common man, his Youth Congress. It focuses on both, his achievements and his inabilities. The book, no doubt, brings to light how Gandhi’s actions will affect the lives of Indians. Aarthi Ramachandran’s 'Decoding Rahul Gandhi' attempts to bring out the person behind the persona. The book is based on interviews conducted by Ramachandran with Rahul and people who are close to Gandhi both personally and politically. Readers get insights into who Rahul Gandhi is, what his aspirations and fears are and what motivates his actions. The book also reveals the reasons for the failure of some of his policies in the past.